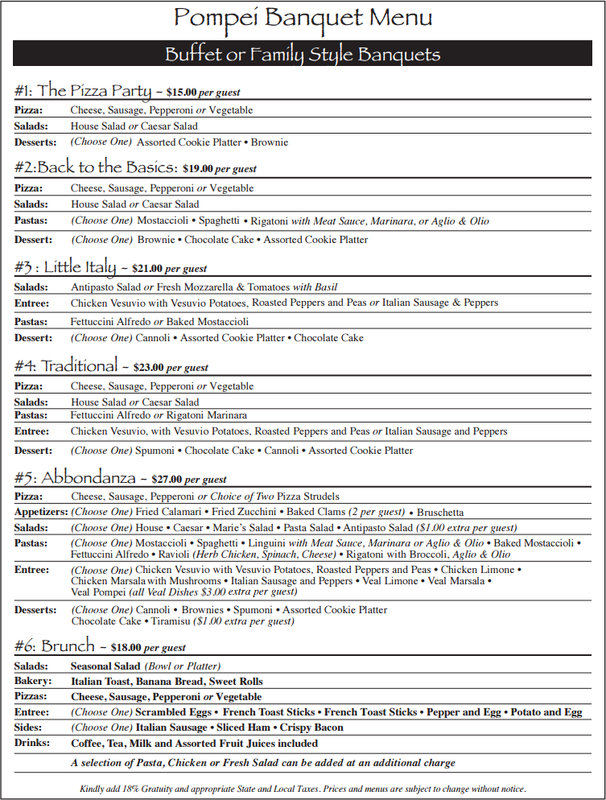 Pompei on Taylor Street offers several packages that range from appetizer and cocktail parties, casual buffet spreads, and full-service family style meals. We have two beautiful full service bars and offer various drink packages. Pompei is perfect for afternoon meetings, rehearsal dinners, bridal & baby showers and holiday office gatherings. Pompei features ”La Stanza di Pompei,” our private, full-service banquet room with available seating for up to 100 people. 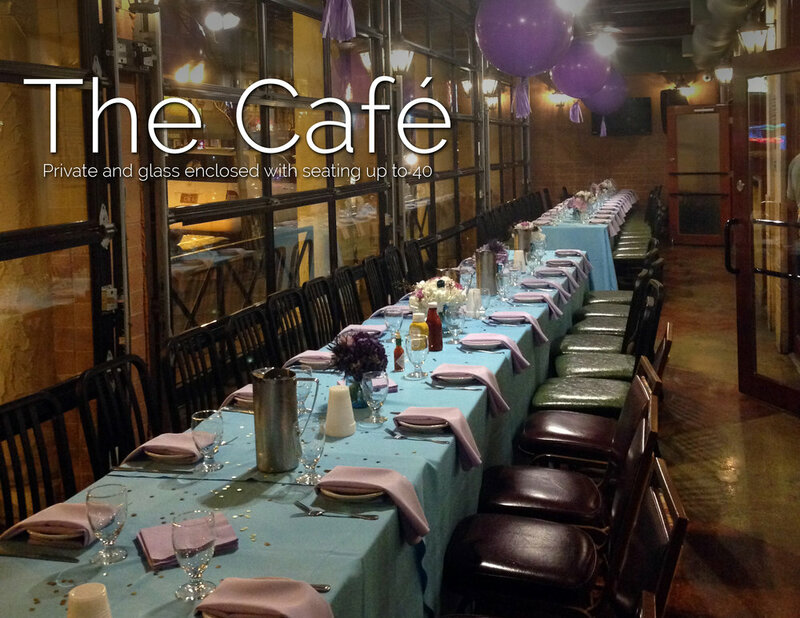 Additionally, our beautiful and private glass enclosed Café accommodates up to 40 guests. Looking for somewhere to dine alfresco? Come enjoy Pompei’s beautiful Jut’s garden, nestled on the east side of our restaurant. Our retractable rooftop over this cozy space accommodates private groups for parties from 25 to 80 people. The soft music, beautiful landscape and fresh aromas will certainly take you back to another era. Please let us know if our professional event managers can create a custom package and reserve a private room for your next special event.